We beautifully gift wrap it for you. 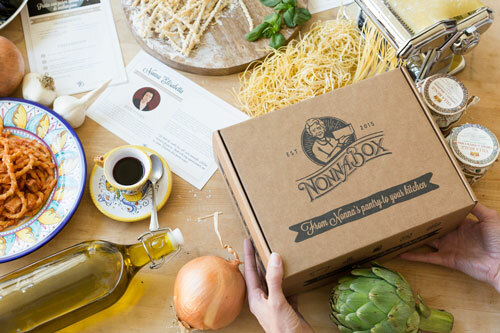 The Mini Sorpresa Nonna Box delivers high quality and premium Italian products in a small package. It’s like a quick present from Nonna, thoughtful and generously packed with surprise treats. This $29 box contains 4 imported Italian products and no recipe card that will help you cope with your homesickness for Italy.